エクササイズ中の室温が食欲に影響する？ Temperatures during exercise can have an influence on your appetite ? I wrote the following topic on this blog 10 years ago from now (in 2009), however, access to this post seems to be increasing little by little recently, so, I hereby will take that topic again with the addition of its original research link. According to this research, it seems that climatic environment (temperatures) during exercise has some relation to suppression/promotion of appetite afterwards. The key to this phenomena is a hormone named as " peptide YY ". Let's find out what it is through the link below. Note : profuse sweating during exercise in an extremely hot environment can lead to risks of dehydration, heatstroke and so on. Therefore consideration and precaution concerning this point would be important and necessary. Retrieved from American Journal of Clinical Nutrition, Volume 90, Issue 5, 1 November 2009, Pages 1215–1221. When I was checking an online study group of ACSM certified fitness professionals, some people were talking about Kaatsu training, aka occlusion training, which restrict blood supply toward working muscles during strength exercise in order to create a kind of ischemic state in the working muscles artificially. Because, ischemic state of muscles during anaerobic workout such as strength training can be one of important premises/necessary factors that cause muscular development. 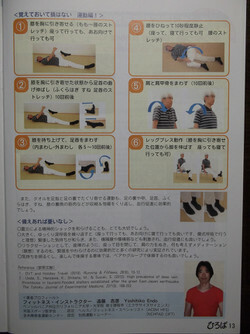 And, this training methodology was originally proposed by researchers in Japan. If you are interested in it, the following link is one of journal articles of American College of Sports Medicine. どのくらい運動したらいいの？ -　エクササイズのガイドライン How much is necessary for your exercise routine ? Sometimes, I get questions concerning " how much exercise is necessary for reaping the health benefits ? " from my exercise class participants/personal training clients. So, today I will write a guideline concerning this matter based on a trusted textbook by American College of Sports Medicine. There is a dose response relationship between total calories expended per week in physical activity and exercise and health/fitness benefits. The evidence indicates that accumulating at least 1,000 kcal of physical activity per week consistently results in health/fitness benefits. If you expressed this recommended quantity in minutes = approximately equal to 150 minutes per week of moderate intensity exercise, or 30 minutes a day of moderate exercise. If you expressed this amount in step numbers = Moderate intensity of walking for 30 minutes equates to 3,000 to 4,000 steps per day. Attainment of 10,000 or more steps per day has been suggested as the goal for classifications as being physically active, although this recommendation needs further study before such a universal recommendation can be made (ACSM, 2010). 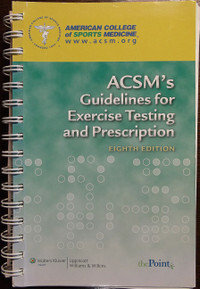 American College of Sports Medicine (2010). 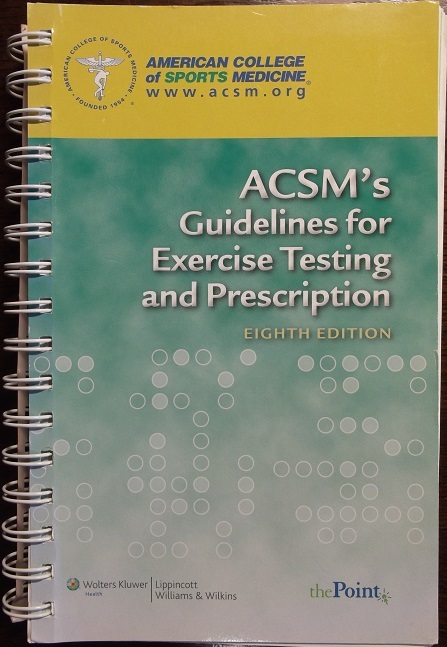 ACSM's guidelines for exercise testing and prescription, eighth edition. In the present day society, many people tend to spend less time for watching TV, compared to when we used to be in the past. First, because of the advent of the internet technology, various types of videos are available on the internet for free of charge, for example, a lot of people are watching youtube videos nowadays rather than watching regular TVs in their free time. Second, values and priorities in life are becoming various and diverse, therefore high rating TV programs in the past will not necessarily draw thousands of viewers as expected. Third, although this is only my view, quality of regular TV programs are, as a whole, decreasing because of limited production budget and a large number of competitor programs on cable channels and BS channels and so on. For these reasons, people are getting off of the regular TV programs, and we will have to wait and see the future direction of survival of conventional TV sets and programs. When I was reading an internet security related web article today, I came across a word saying that point of entry, which is supposed to be a data entry point or something like that. And, what sprung up in my mind on the spot was mid 1980's disco hit song Point of No Return by Expose. Speaking of disco hit songs, many of you guys will imagine hit songs of Bananarama such as Love at first degree, Venus and so on. The striking difference between these groups is ... Bananarama is a female group in the UK, however, Expose is a female group in the USA, and reflecting the multicultural society in the US, members of Expose multinational and multicultural as you can see in the video clip. Their songs will become a good back ground music and a kind of motivator for your fitness workout who are reminiscent of cultures in the mid 80's. Although today's topic is not related to fitness, the matter of internet security and privacy is a very important topic for everyone, you know. And concerning this matter, I was going through the Amended Act on the Protection of Personal Information (in Japan) today. And I found a very intriguing description concerning the utility of personal information in this amended act, which was stipulated on December 2016. That said, " this act aims to protect an individual's rights and interests while considering the utility of personal information including that the proper and effective application of personal information contributes to the creation of new industries and the realization of a vibrant economic society and an enriched quality of life for the people of Japan "(Personal Information Protection Commission Japan, 2016). I think this description is a new concept regarding the protection and utilization of personal information on the internet world, compared to what we used to be, which means only protection of privacy and personal information. So, I think this would be one step progress in interpretation in the concept of internet security and personal information and that kind of things. Of course, this can be what is called a double edged sword, thus, careful and considerate attitude would be important in treating this matter. Retrieved from Personal Information Protection Commission Japan, 2016. フィットネスの効果として期待できるものをfitnessの文字に当てはめて、思いつくものを書いてみました。他にも何か面白い答えを思いつきましたら教えてくださいね （賞品は出ませんが ...　笑） If you hit upon some other good answer and idea, let me know in comment ! In Japanese comedy world, one of the most beloved big shot comedian is Mr. Kinnitch Hagimoto. I wrote my though about his on my blog in 2007（the above links). In 2015, he enrolled in a university at the age of over 70 years old to study the nature of human life and buddism. What I like about his is his passion and enthusiasm for pursuit of one's curiosity and belief. This footage is one of my favorites, which is a one when Celine Dion and a Japanese singer Yuna Ito co-starred at Tokyo in 2008. Although Yuna has Japanese and Korean descent, she was born and grew up in Hawaii, so she has good aspects of the both American culture and Asian culture. What I like in this footage especially is the episode when Celine Dion sent Yuna a small diamond stone at the final day of the collaborative concert as a thank you gift (from 1 minute 25 second from the beginning of the video). and she says " Yuna, this is a small gem, and whether you design it into a necklace, earrings, and something like that depends on your will and efforts like your future career " Currently Yuna seems to have moved her environment from Tokyo to LA and is preparing for her next goals. I'm looking forward to her comeback on the showbiz stage sometime in the near future.